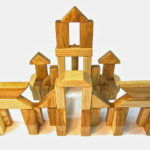 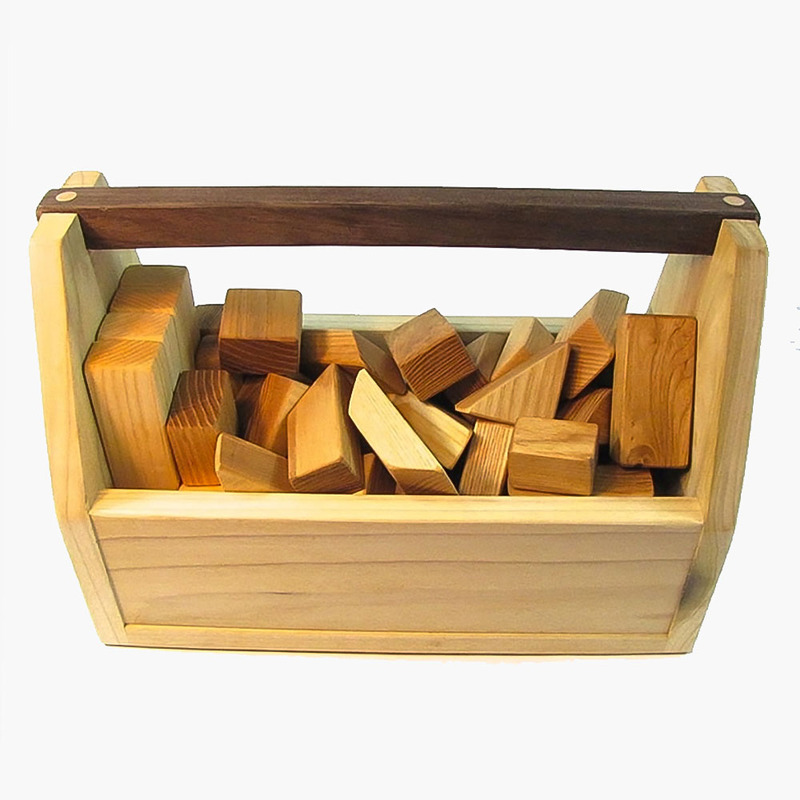 Any child will love this carefully handcrafted block set—and may even enjoy the carrying case more! 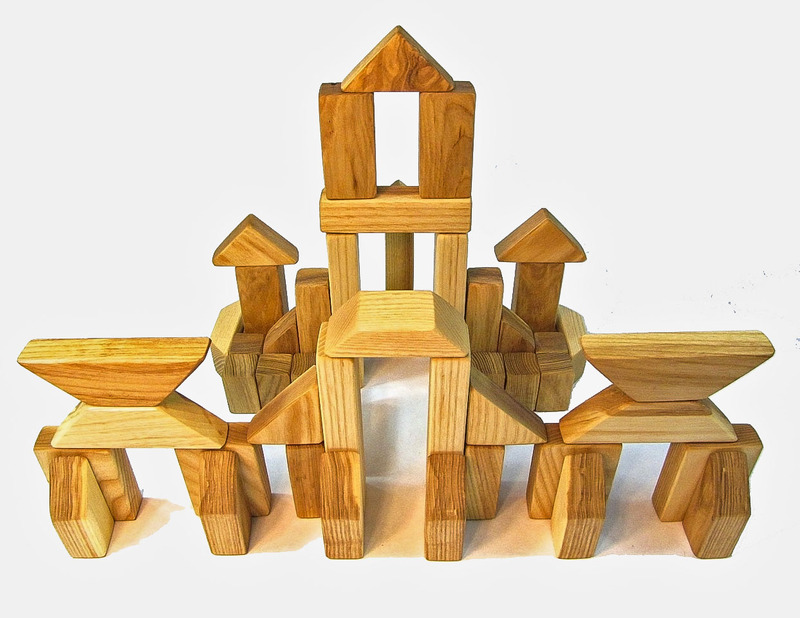 Made from assorted, hand-selected USA hardwoods, in various shapes and sizes. Choose your own wood (ash, cherry, oak or walnut). 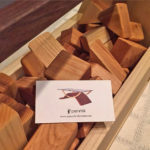 Includes custom handmade hardwood carrying case.